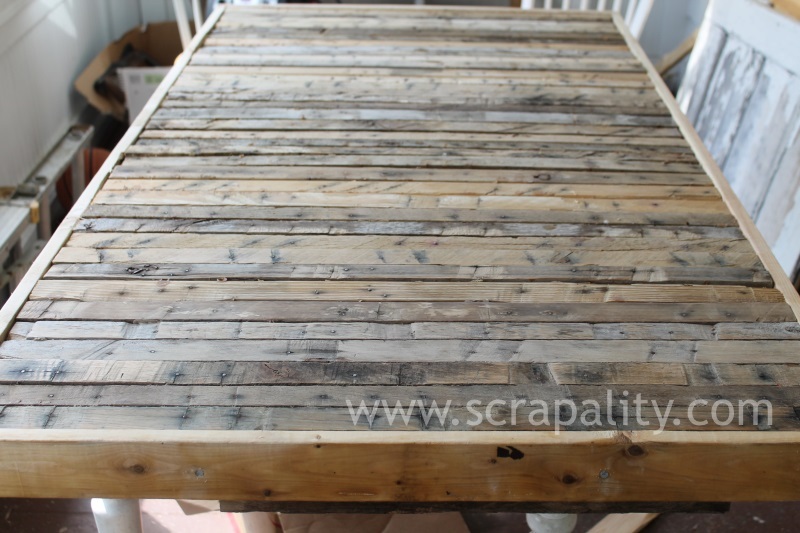 What do you do with the pallet runners after you rip apart the pallets? That is a really good question. Today, I’m answering that question. I had a huge pile of pallets in the back corner of my backyard and it’s finally starting to dwindle down. Some of the runners, the middle boards of the pallet, I’ve used for firewood. I also used a lot of runners to level my pallet deck and I plan to use some to build flower boxes. But, what do you do with the rest? I’m currently working on a kitchen island and I wanted a unique countertop, not something picked up at the nearest hardware store. That’s where today’s post comes in. A little help from Oz. 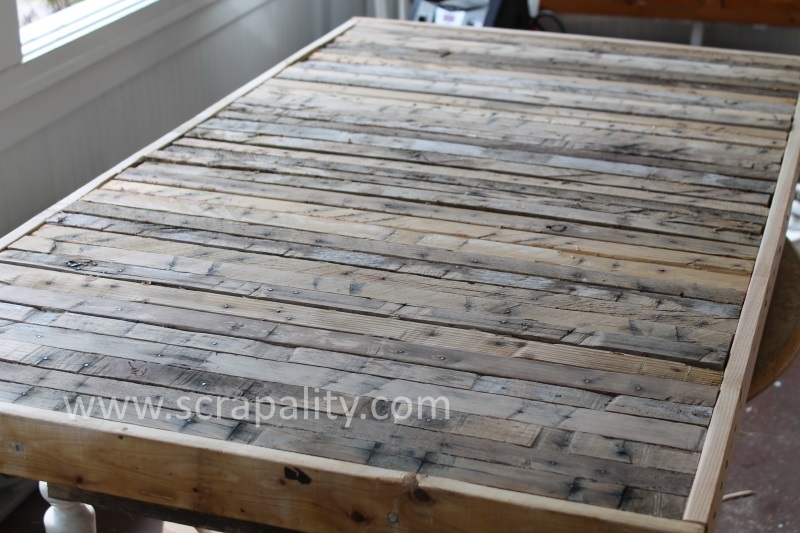 Pallet runners are uneven and full of nicks and dents, but that’s part of the charm. Oh, let’s not forget about the nails. 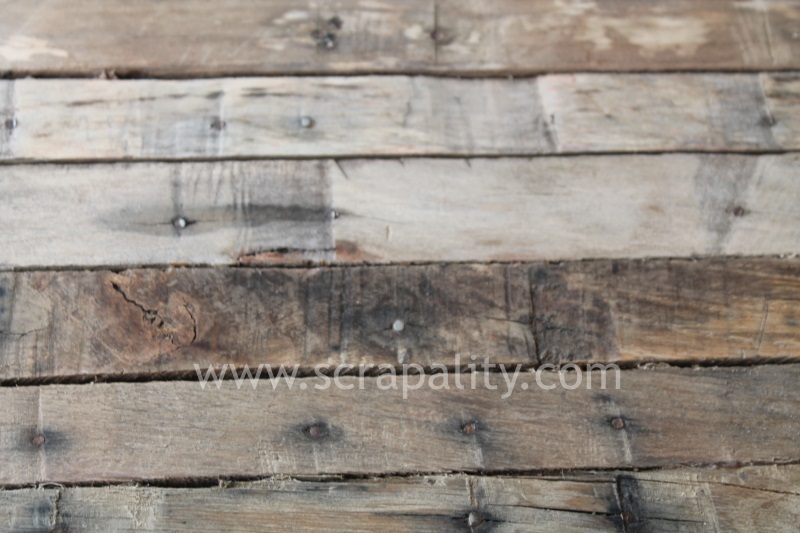 The runners were cut to the desired length, cleaned and bleached. Groups of runners were glued together using wood glue. Starting with the first group, the 1×3 was nailed along the outside edge with nails, one nail to each runner from both sides. I attached two runners and then switched to the other side to keep runners tight. Some of the runners were a little stubborn and needed more pressure to nail them in place. After all the runners were in place, I added a 1×3 to the ends of the counter top to finish the countertop frame. 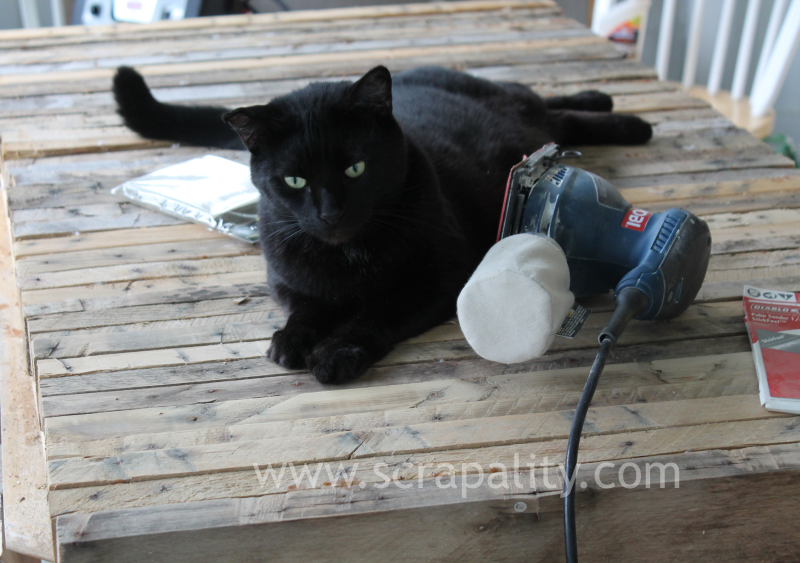 Sanding, wood filler, more sanding, staining and sealing! Sharing with some or all of the following parties Linky Parties. Linky Page created to eliminate spammer like activity. This is BEYOND gorgeous! Pinning immediately! If I ever purchase another house, I will want to do this undoubtedly! I love to work with pallets and your pallet-countertop started an idea in my head 🙂 Thanks a lot for sharing! This is absolutely gorgeous!! I’m so excited to see it finished! 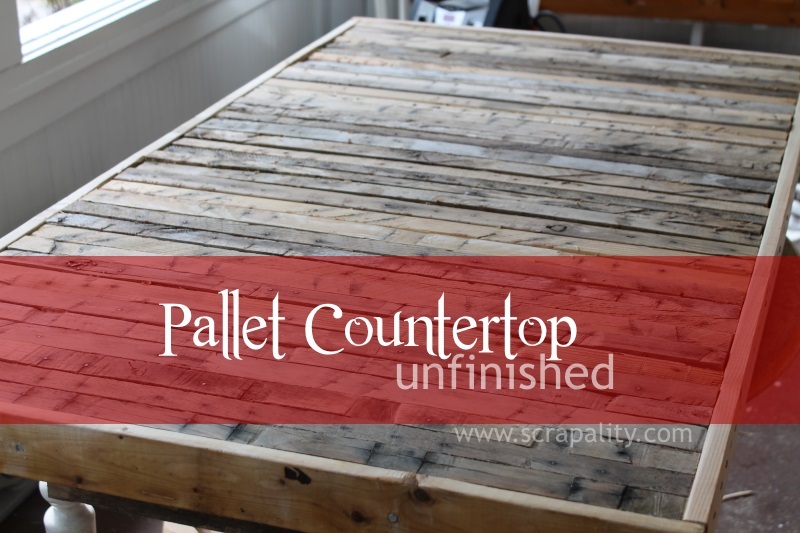 Andrea, I love the look of your pallet countertop. How very clever you are! Thank you for sharing this project at Shabbilicious Friday. I’m delighted to be featuring this at tomorrow’s party. What a great idea! I would not of thought to make a counter out of pallets. I can’t wait to see the end results! Thanks so much for pinning to the P3 Party! I am featuring your counter tomorrow on Made in a Day! Such a cool idea! I’ve never seen a countertop done this way before. Thanks so much for sharing on SHOWLicious! UH-MAAAH-ZING! Totally love how this looks! Look forward to seeing the final reveal! Following you on Google+ so I don’t miss it.